Had an awesome experience with Advantage. Very professional, and outstanding customer service. Our limo was top of the line, and our driver was very nice and super accommodating. I highly recommend! ...and a fun time was had by all! 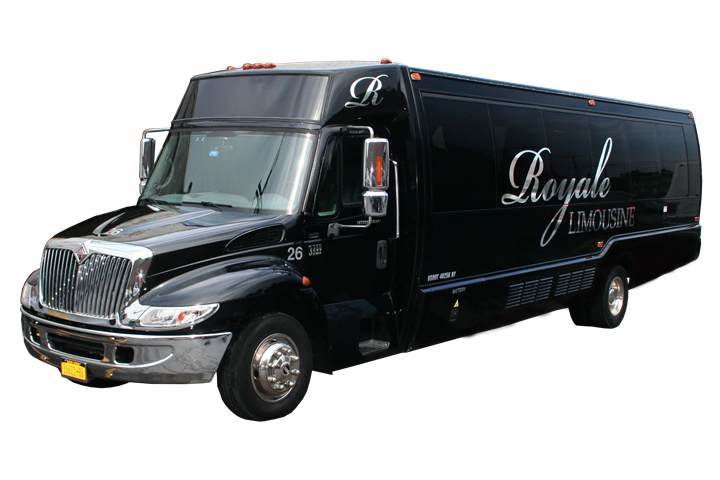 We used Advantage/Royale for our private ExecuLounge bus rental to/from the pier in NYC. It was all we hoped for and more! Royale Transportation and our driver Joe went above and beyond to meet our every need. Everything went off without a hitch! Thanks again for helping to make our vacation wonderful! My wife and I just had our wedding on 8/26 at Birch Hill Catering and used this service for transportation for our guests. We had a party bus, one of the rolls royces, and a stretch Jaguar limo. Everyone was brought to the ceremony on time and safely and our guests could fully enjoy the night without having to worry about driving. Ivan took my wife and I back to our hotel after the wedding and he was awesome! Thank you so much! Great company and wonderful drivers. Will never use anyone else.